Serving world renowned traditional and contemporary Native New Mexican cuisine in an exceptional setting since 1965. Located in a restored, century old adobe home and surrounded by three breathtaking mountain ranges, the restaurant serves the finest Native New Mexican cuisine anywhere! Enjoy dining on the terrace on sunny summer days and cozy winter afternoons as you watch the snow fall. 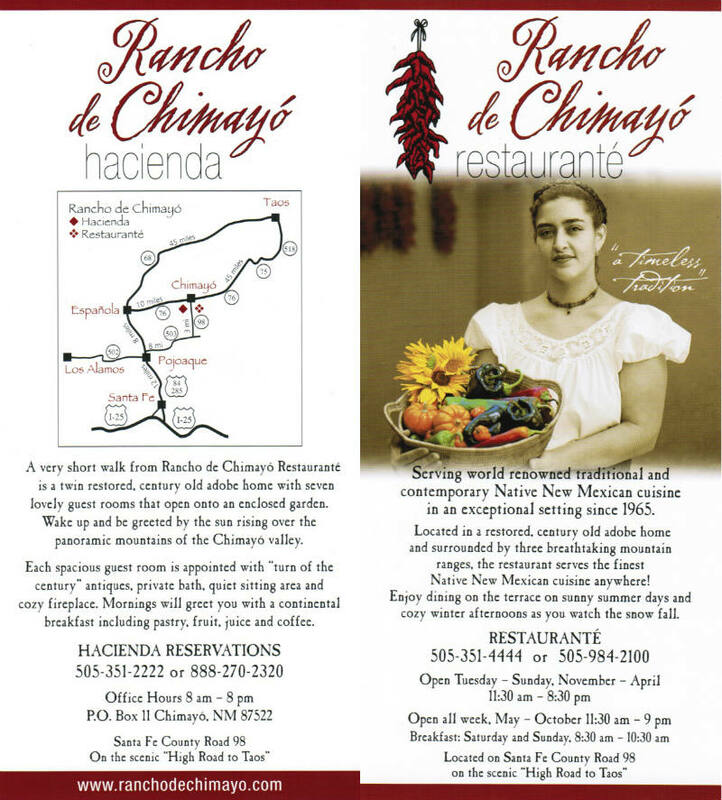 Located a short walk away from the restaurant is the Hacienda with seven guest rooms.